Bridgeport, a hamlet in the Town of Sullivan, Madison County, New York, is partly in Onondaga County, but mostly in Madison County, lying just east of Oneida Park, a hamlet in the Town of Cicero, Onondaga County. Michaels & Smolak has represented many residents of Bridgeport and the Madison County area, including a client who sustained personal injuries from an assault. The medical malpractice and personal injury lawyers of Michaels & Smolak meet clients in their offices in Syracuse, Auburn and Liverpool, but also in their clients’ homes, including in Bridgeport and Madison County. 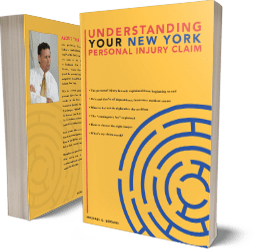 The law firm handles almost exclusively personal injury and medical malpractice cases, and is among the top-rated personal injury law firms in all of upstate and central New York. The Michaels & Smolak lawyers’ high ratings and honors can be viewed at their main web page. Directions to Michaels & Smolak’s Syracuse office can be found HERE.